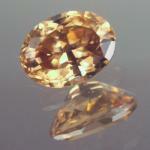 Zircon's fire, brilliance, and beauty can rival any gem. 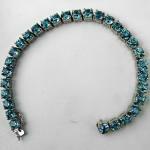 The affordability of its vibrant greens, sky blues, and pleasing earth tones contributes to its growing popularity today. Once considered a diamond alternative, today we know that natural zircons are in fact the most ancient materials on Earth, holding within their brilliant depths a time capsule of our planet's birth. A tiny fragment of zircon discovered in western Australia is the oldest known object on earth: 4.404 billion years old. Earth itself formed less than 150 million years earlier. An even older example was found in a large meteorite in Chile. The oldest thing scientists have ever examined, that zircon formed at least 4.6 billion years ago in the swirling disk of dust and rocks that became the planets. Although diamonds are harder than zircons, they are quite young in comparison: a mere 3.3 billion years old. Zircon contains its own internal atomic clock. Its crystal accumulates atoms of uranium, which decay to lead at a known rate. By measuring the relative abundance of two types of uranium and lead in a zircon, geologists can determine old it is. Zircon is also incredibly durable. It remains unscathed while other rocks and minerals melt and re-form under the tremendous heat and pressure of continental shifts, mountain-building, and violent asteroid impacts. In the middle ages, zircon was said to aid sleep, bring prosperity, and promote honor and wisdom in its owner. The name probably comes from the Persian word zargun which means "gold-colored." Today, natural zircon is often overlooked because cubic zirconia, the laboratory-grown diamond imitation, is so much more common. Many people don't even realize that there is a beautiful natural gemstone called zircon. Cubic zirconia is a man-made compound of zirconium, oxygen and yttrium, which was discovered in 1937. It lacks the silicon of a true zircon, and is, of course, very much younger. 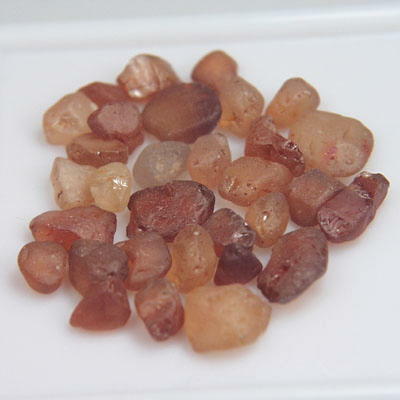 Zircon jewelry should be stored carefully because although this ancient gem is hard, facets can abrade and chip. Clean with mild dish soap: use a toothbrush to scrub behind the stone where dust can collect.